I also, after I heard of your faith in the Lord Jesus and your love for all the saints, do not cease to give thanks for you, making mention of you in my prayers. Two compelling factors make prayer an exercise worth your whole hearted devotion. Prayer is a means by which you come to know God. Is there anyone else you would rather know intimately than the living, eternal, awesome God? Can there be any greater pursuit than knowing God? When you pray, you come to know God in the most practical and personal way possible. You seek His mind and His will. You learn to understand His character, and you enter into the temple of the Most High, knowing God can make a dull life exciting, a doubting life sure a timid life bold, a wandering life purposeful. Prayer is also a means by which you worship God. Have you ever thought how you worship God? Certainly you can exalt Him through your lips and actions; but when you pray, you truly acknowledge Him as the Source and End of all. 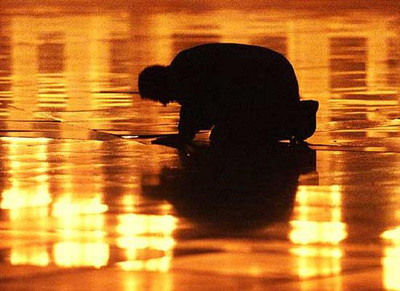 Prayer is an act of worship by which you confess your reverence and dependence on God. The Bible refers to the prayers of God’s people as incense, symbolic of praise and worship. Knowing God and worshiping God are two of the greatest privileges a Christian can enjoy. For these reasons, prayer is worth your complete devotion. I want to know you Lord. There is no greater pursuit. I want to worship You. There is no greater privilege. Lord, I commit myself a new to prayer. May God keeps you in His love and may He fills your life with His blessings.